Taken seriously, no theology is more challenging morally, spiritually, or intellectually. We Unitarian Universalists have inherited a magnificent theological legacy. In a sweeping answer to creeds that divide the human family, Unitarianism proclaims that we spring from a common source; Universalism, that we share a common destiny. That we are brothers and sisters by nature, our Unitarian and especially our Universalist forebears affirmed as a matter of faith: Unitarianism by positing a single God, Universalism by offering the promise of a shared salvation. With this life-affirming legacy comes an attendant responsibility, especially today on a shrinking globe where togetherness is no longer a luxury but a necessity. With a global economy, global communications system, and global nuclear and environmental threats, discrete backyards are a thing of the past. Even as we are thrown together by realities that shape our common destiny, centrifugal forces spin us faster and farther from one another, fracturing the one world we now experience and jeopardizing our common welfare. By retrenching in old, familiar ground, many religions offer a temporary, idealized refuge from this reality. This partly explains the appeal of competing fundamentalisms. Yet fundamentalism countermands the requirement of living together in this promising, dangerous new world. To contend with the forces of fractionalization, a 21st-century theology needs nothing more and requires nothing less than a new Universalism. The problem is this. Without a cadre of unabashedly evangelical Universalists, the Universalist gospel will languish. This would constitute not only a private sorrow for Unitarian Universalists, but also a shared loss for all who might serve by founding their lives on Universalist principles. To make good on our theological inheritance, we must find a way to come together and proclaim a Universalism fit for the challenges of the 21st century. Two obstacles thwart fulfillment of this mission. First, Universalism is an exacting gospel. Taken seriously, no theology is more challenging-morally, spiritually, or intellectually: to love your enemy as yourself; to see your tears in another's eyes; to respect and even embrace otherness, rather than merely to tolerate or, even worse, dismiss it. None of this comes naturally to us. We are weaned on the rational presumption that if two people disagree, only one can be right. This works better in mathematics than it does in theology; Universalism reminds us of that. Yet even to approximate the Universalist ideal remains devilishly difficult in actual practice. Given the natural human tendency toward division, Universalists run the constant temptation to backslide in their faith. One can lapse and become a bad or lazy Universalist as effortlessly as others become ice-cream social Presbyterians or nominal Catholics. The second obstacle is intrinsic to Unitarian Universalism itself. Though named after two doctrines, ours is a non-doctrinal faith. By definition, we don't even have to believe in our own name. We can be free from, for, or against whatever we choose. We should be thankful for that. But we also must remember that only a respect for the worth and dignity of every human being and a shared commitment to the interdependent web of being—each among Unitarian Universalism's guiding principles—present a saving alternative to the perils of internecine division in an ever more fractious world. Given our commitment to pluralism, Unitarian Universalism should represent the perfect laboratory for modeling amity in a world rife with passions that stem from differences of belief. Often, however, we too muster more passion for that which divides us than we do for all that unites us. We must ask ourselves this: If, in our communities of faith, we find it difficult to unite under the banner of one over-arching sympathy, how can we hope to counter the fundamentalisms of the right and left? How can we presume to contest theologies that divide, not unite, the human family, without a uniting passion of our own, without a deep, shared commitment to our own first principles? To proclaim these principles we must be able to articulate them. My goal here is to present a possible foundation for a contemporary Universalist theology, one designed to underpin our diversity in a more intelligible and practicable manner. Although I have placed my emphasis on theology, I hope it is apparent that everything in this essay has implications for our commitment to justice as well. Unless we put its implications into practice, Universalism is frivolous, self-denying, and moot. under a star-studded summer sky. where you can bear witness to the wonder of God. I never thought of my father as a religious man. He quit the Catholic Church when he was fourteen. I sensed that for him the Catholic Church was the one true church; it just happened to be false. Yet, the words on my father's tombstone witness eloquently to the Universalist spirit. By definition, Universalism is not the province of any one sect. In fact, at the root of all direct human experience of the Holy are the two essentials for a true Universalist faith: humility and awe. The word human has a telling etymology, my very favorite. All the words that relate to it are illuminating: humane, humanitarian, humor, humility, humble, and humus. From dust to dust, we live and move and have our being. Our kinship is a mortal kinship; the mortar of mortality binds us to one another. Though the human pilgrimage may wind down a million paths, all roads alike lead to the grave. In the temple of Universalism, two great pillars—awe and humility—flank the doors. The doors themselves are birth and death. I define religion more inclusively than many others do. Religion is our human response to the dual reality of being alive and having to die. We are not the animal with tools or the animal with advanced language; we are the religious animal. Because we know that we are going to die, we question what life means. Death also throws meaning itself into question, for some people rendering it moot. Yet, for most of us, knowing that we are mortal inspires a search for answers that will remain valid in spite of our mortality. If religion is our response to the dual reality of being alive and having to die, the purpose of life is to live in such a way that our lives will prove worth dying for. In its original expression, as a development within Christian theology, Universalism advanced the radical notion that all of God's children receive salvation after they die. Interpreted more broadly, Universalism is an inclusive faith, rejecting the divisive notion that people fit into two separate categories: sheep and goats; the saved and the damned. To help shape a Universalism for the 21st century, I shall invoke this broader spirit, not the original letter of our Universalist forbears. I don't disbelieve in an afterlife; I simply have yet to experience an afterlife, and therefore have little to say concerning one. All I know is this: First, nothing (including any imaginable afterlife) could be more amazing than life itself is. Second, life as we know it is impossible without death. And finally, though theology may begin at the tomb's door—the specter of death prompting reflection on what life means—surely no revelation is more compelling or worth pondering than that of a newborn child emerging from its mother's womb. When "doing theology" I try to remember my father's advice. Theologians are wise to close their learned tomes at times and reopen the book of nature. Theology is a human construct. It begins with the miracle of our own existence. If awe and humility are the principal handmaidens of Universalism, beyond all other distinction birth and death remain the sacraments that unite us in a shared mystery. Though the limits and intrinsic wonder of human nature may recommend Universalism as the most overarching and inclusive approach to theology, our many differences in human nurture mitigate against it. Since the questions we ask of creation are life-and-death questions, our answers are emotionally charged. It is hard to accept that, if we are right, those who differ can be anything but wrong. In this respect, many contemporary Unitarian Universalists are as culpable as our more orthodox cousins. We too forget that we are alike in our ignorance more than we differ in our knowledge. So before pronouncing our fidelity to Universalism, we must take our own theological inventory. In the United States, both Unitarianism and Universalism grew out of the Protestant tradition. The theologian Paul Tillich defined the "Protestant principle" this way: "The first word of religion must be spoken against religion." This principle serves well in the necessary work of reforming corrupt religious institutions. Nonetheless, it is primarily negative, not affirmative. One need only contrast Catholic and Protestant church history to perceive that Protestants are forever cutting themselves into pieces like cells dividing, each division in the name of evolution, toward the cause of higher life. The Universalist principle is precisely the opposite: to unite the many into one. Being Protestant by heritage, we Unitarian Universalists are forever tempted to betray this Universalist principle. As long as a century and a half ago, observing the sectarian and spiritually pallid corrosion of a recently minted Unitarianism, the Rev. Henry Whitney Bellows called for a new, more "catholic" church, one animated by the spirit of union rather than the eccentricities of individualism. He published this call in his great address, "The Suspense of Faith." As you can imagine, his choice of the word "catholic" raised more than a few Unitarian hackles. Yet Bellows was attempting only to call us home to a larger residence. He too was proclaiming a "new Universalism," a more inclusive, more affirmative, and less Protestant faith. In recent years Unitarian Universalism, after the two liberal churches joined together in a "catholic" act of sorts, has remained riven by the Protestant temptation to divide. In fascinating rotation, one group or another among us has attempted to purify itself from possible contagion by distancing itself from the whole. We must resist this temptation, and instead beat our Protestant swords into Universalist plowshares. I know this will prove daunting. After all, by embracing the Protestant principle in its purest form, ever since the Reformation we on the far-left wing of the reform movement have been conducting a theological search-and-destroy mission. The goal has been to strip away the trappings of religion in an attempt to restore to faith its intellectual and spiritual integrity. This has been a noble and often salutary effort. But when all is said and done, it remains a little like trying to find the seed of an onion by peeling away its layers. Eventually, nothing is left but our tears. In Unitarian circles, the Protestant principle may manifest itself in the creation of modern Gnostic or knowledge-based religious movements, from Christian Science in the 19th century to some of today's New Age conventicles. It also periodically prompts calls for a retrenchment in 18th-century deism or early 20th-century humanism. Yet, in almost every instance, regardless of expression or form, Unitarian implementation of the Protestant principle comes wrapped in the guise of rationalism. In marked contrast Universalism, and indeed Unitarian Transcendentalism, suggests that by sheer rationality we cannot come close to comprehending the mystery of being alive and having to die. Life is a miracle that can't be explained without explaining it away. Our most profound encounters lead inexorably from the rational to the transrational realm. Many leading scientists are far ahead of us in this regard. Some recent discoveries in physics and cosmology make no apparent sense according to known canons of rationality. Probing the mysteries of the universe and the mind, researchers on the cutting edge of knowledge find themselves moving freely between the rational and transrational realms. Where does that leave the poor camp followers, who believe in science but don't embrace mystery? Having traded God for truth, they are left with neither. Reason and rationality are entirely different things. Drawing from experience, reason dares us to imagine beyond what mere rationality excludes. Rationality excludes only the irrational. There is gain in this exclusion, for much religion today continues to be irrational. That is to say, it bases its rational claims on the evidence of a privileged revelation. Claims of scriptural inerrancy, virgin birth, and creation science start with the scriptures, not the cosmos, and in so doing limit rational activity to so closed a circle as to be indeed irrational. But an equally serious charge can be leveled at rational religion, especially in its most radical, almost always reactionary, form. In a principled flight from irrationality, rationalists betray reason by losing sight of the transrational realm, where rationalism is not rejected but transcended. This is the realm of myth and parable, of poetry and paradox. Wholeness cannot be achieved until the two realms—of sign and symbol, fact and fancy—are explored as one. The danger of excluding the transrational from our field of contemplation is that, by sophisticating our minds against the mystery of powers so beyond our control and understanding as to be unimaginable, we lose our sense of humility and awe. We take the creation for granted, rather than receiving it with fitting gratitude as an undeserved, unfathomable gift. When rationalism supplants mystery, our imagination and sense of wonder are as likely to die as the gods we pride ourselves for having killed. I confess to having participated in this slaughter myself. At the outset of my ministry, I found greater confirmation for my own beliefs in Thomas Jefferson's rational Unitarianism than in Ralph Waldo Emerson's mystical Unitarianism. I believed most avidly in that which I could parse and thereby comprehend. For instance, the ethics of Jesus moved me; the Oversoul did not. I approached creation as a taxidermist, not a worshiper. Even the most fragile and beautiful manifestations of creation I examined as a blindered lepidopterist might a butterfly. I netted, chloroformed, and mounted them for observation. After long study of my favorite specimens, I could only conclude that butterflies don't fly. Over the years, I have slowly discovered that the self-confident posture of Enlightenment philosophy did not serve me as well as it appears to have served Jefferson. Jefferson and the French philosophes who inspired him brought God home by clipping God's wings, by domesticating mystery and caging it. There are many fine ways to interpret God (or to interpret creation without the benefit of God); the one that finally worked for me is clearly not for everyone. To give my Universalism full play, I had to make room in my theology for a more capacious, if unfathomable, power. I had to clear a place for mystery on the altar of my hearth, which before I had crowded with icons to knowledge. As a parish minister, this should have come naturally, but it didn't. In some respects, I know religion too well to be anything but suspicious of its answers. God is on the label of every bottle of religious snake oil I have ever tasted. Before I could animate my own Universalism, I therefore had to re-imagine God. It is impossible to speak of Universalism without addressing the subject of God. Early Universalists believed that everyone was born to be saved because God was too good to damn his own children. To practice and proclaim a 21st-century Universalism, we need not believe in the old Universalist God—or even employ the word God—but we must have an equally affectionate relationship with the ground of our being. Otherwise, we will succumb to the temptation to divide it between our own and others' feet. Today, when people boast to me that they don't believe in God, I ask them to tell me a little about the God they don't believe in. Almost surely, I don't believe in "Him" either. As the ancient Hebrews recognized, God is not even God's name. God is our name for a power that is greater than all and yet present in each: the life force, the Holy, Being itself. God doesn't exist only because we need God; we exist because the universe was pregnant with us when it was born. In miracle and fact, our gestation traces to the beginning of time. Accidents abound, of course. One amino lapse or missed coupling and we would not be in the position to wonder why we are here. Yet, in my experience, only by positing the existence of a power beyond our comprehension can we begin to account for the miracle of being with an appropriate measure of humility and awe. I recognize that for many people the word God has shrunk from repeated use, but we can always stretch it again. If you can't manage to do this—the "G word" fitting your mind more like a straightjacket than a divine garment—then simply substitute another. Spirit may work for you, or the sacred, or higher power. As long as the object of your reverence is large enough, it doesn't really matter, not at all. I will say, however, that a new Universalism may be ill served by the creation of a more private and thereby exclusive theological vocabulary. In a country where more than 90 percent of the people claim to believe in God, it may prove easier to inculcate faith in a larger God than to displace familiar affections. This aside, there is nothing novel, and certainly nothing blasphemous, about redesigning or renaming God. Responding to life-and-death questions, seekers have reinvented and thereby rediscovered the holy throughout the centuries. Consider our ancestors, the searchers who came before us. Begin with the cave dwellers, the hunters and gatherers, for whom the greatest imaginable powers were the forces of nature. "God" was manifest in fire; therefore, in lightning and in thunder—perhaps even in the game they hunted to provide sustenance. When agriculture replaced hunting and gathering, these gods turned into goddesses. Power now lay in reaping and sowing, in the turning of the seasons. Fecundity determined survival. God became goddess; procreation, creation; birth, life. Later, with the city-state, power came wrapped in the robes of authority. God was now Lord or king, protector, enforcer, and judge. A breakthrough in this view of divine nature arrived with the Hebrews, who believed their God and king was the only God and king. This development, less imperialistic than ethical, led them to attribute their failures not to another, stronger God, but to their own shortcomings. With Jesus, God became Father (in fact, Daddy, or Abba), a far more intimate authority figure. In Western society, the God most unbelievers reject is the traditional Judeo-Christian God: omniscient, omnipotent, just, demanding, capricious on occasion, sometimes even cruel. For many thoughtful people this God was overthrown centuries ago, aided by the Copernican revolution. As has happened many times before, God was not therefore dead; God was re-imagined. For instance, after Copernicus had displaced us from the center of the universe, one group of scientists and theologians, in their efforts to re-imagine God, seized upon a metaphor better suited to their new worldview. Enter God the watchmaker, who created the world and set it ticking, then withdrew to another corner of the cosmos. This is the God of the deists, a God icy and remote, still transcendent but no longer personal. Today, we are witnesses to another scientific revolution, one as profound as that initiated by Copernicus and Galileo half a millennium ago. on our path to a 21st-century theology, we encounter what might best be called a reflexive God, a co-creator with us in an unfolding, intricate drama of hitherto unimaginable complexity. This God is not immutable but ever changing, reaching and growing, even as we change, reach, and grow. No longer merely actors on God's stage, we may also be participants in the scripting of God's drama. Among the metaphors most promising to a 21st-century Universalist theology is the holograph, which offers both a reflexive and a transcendent image for God. Lasers record images on a photo-plate made up of thousands of tiny lenses, resulting in a three-dimensional hologram, like those in the haunted house at Disneyland or on many credit cards. Mysteriously, if the photo-plate is broken to bits and only a single shard is employed for projection, the entire image, however faint, will be replicated. Our bodies are holographic too. Each of our cells contains the full genetic coding or DNA for our whole being, perhaps an even more telling metaphor for the reflexive nature of divinity. The same idea echoes throughout ancient scriptures. The realm of God is in a mustard seed. The Father and I are one. Atman (individual consciousness) and brahman (universal consciousness) are one. The realm of God is within you. As with Paul's image of the cosmic Christ (one body, many members, each with the same signature of divinity), the holograph suggests God's reflexive nature in a way that transforms our relationship not only with the divine, but with one another as well. Spun out of star-stuff, illumined by God, we participate in the miracle we ponder. A like image from contemporary theology underlies the Gaia hypothesis, with Mother Earth reprising the goddess in a new way. Just as every organism is a colony of cells and organs each marked with the same DNA, might not everything that lives be said to create a larger organism marked with the DNA of God? Another approach, that of process theology, responds to such horrors as the Holocaust by tempering the claims of God's omnipotence and omniscience. By this reading—as co-creator of a reality we share—God suffers with us when we suffer and rejoices when we experience honest joy. This is a view shared by many liberation theologians as well. As for the discovery of God, we find evidence first within ordinary things and in daily encounters. The surest way to find the sacred is to decode our own experiences, not only of beauty ("heaven in a wildflower") but also in sacraments of pain by which we commune with one another. This represents a third pillar for Universalism. We all suffer. We are broken and in need of healing. We struggle to accept ourselves and forgive others. To adopt the old language, we are all sinners. Aware of our imperfections, we seek more perfect faith, hope, love, and justice. At our best, we empathize with one another's pain and rise together in answer to a higher law. Illumination shines from heart to heart. We discover the healing and saving power of the holy within the ordinary. For instance, anyone who embraces the most familiar Universalist definition, that "God is love," discovers God's nature in his or her own experience of love. This may not mean that God is love actually, but it certainly suggests that love is divine. By whatever name one chooses to call "the One," Universalism offers a clear epistemology for reconciling the one and the many. With this in mind, let me turn to the elements that might constitute a Universalist theology for the 21st century. Regardless of the specifics of our various beliefs, to proclaim Universalism more persuasively we must establish a firmer theological platform, one we can affirm with shared clarity and conviction. I offer the following thoughts in this spirit. To the Universalist, truth in religion is like truth in poetry. Our common text is the creation. Though limited by the depth and field of our vision, we are driven to make sense of it as best we can. So we tell stories, formulate hypotheses, develop schools of thought and worship, and pass our partial wisdom down from generation to generation. Not only every religion, but every philosophy, ideology, and scientific worldview is a critical school with creation as its text. By whatever name we call its author or co-creator, we are all interpreters of the poetry of God. Compare this with literary criticism. How various are the ways in which we read a masterpiece. A great piece of literature admits to many levels of interpretation: literal, metaphorical, symbolic, political, structural, moral. Two critics may arrive at radically different interpretations of the same passage, both founding their views on carefully reasoned logic and demonstrating impressive erudition in the course of their proof. Within any given school of criticism, a continuing discussion takes place, sharpening perspectives, issuing new and relevant discoveries. There exists as well the possibility of dialogue between schools, promoting a new, more dynamic view from each of two distinctive perspectives. The same thing holds for distinctive theologies, with our common text the creation, the greatest masterpiece of them all. Interpreters with differing approaches, methodologies, and tools struggle to discover who we are, where we have come from, how we got here, where we are heading, and why and how. Each works from a set of basic presuppositions. Each has its trusted tools, such as the Bible or the Hubble telescope. As among literary critics, there is a continuing discussion within each school and an occasional dialogue between schools. Religions adapt to new discoveries in science. Scientists sometimes reach the point of farthest penetration and adopt the mystical language of reverence and adoration. The stakes are high. Of all intellectual contests, none is more charged or dangerous. Each side reckons the score in a different fashion, and there is no mutually accepted guideline for who is winning, even for how to play. Viewed as competition, the only way to secure a final victory is to discount or eliminate one's opponents. And yet, if there can be many arguable interpretations of a poem, what should this tell us about the cosmos itself? Nothing is more mysterious or more veiled than the secret of the cosmos. No dogma can begin to comprehend it. Even as a scientific investigator cannot measure the velocity and position of a particle at the same time, the moment we begin to parse the creation we change its apparent nature. Gestalt psychology suggests a like point in object-and-field studies: that well-known optical illusion of two faces in profile that also outline the shape of a vase. It is possible to go back and forth from one focus to another, but—though both are before our very eyes—we can't see the faces and the vase at once. In each instance, the investigator becomes part of the experiment, affecting the very data he or she is attempting objectively to collect. Not only are we the interpreters of God's poetry, we are the poem itself. This doesn't mean that the search for truth or knowledge is in vain. In fact, discoveries such as Heisenberg's uncertainty principle—pointing out that the experimenter affects the data—are breakthroughs in knowledge. Nor does it mean that all truths are relative (and therefore functionally interchangeable), only that no truth within the compass of human knowledge is absolute or final. That ultimate Truth is not privileged to any one particular religious, philosophical, or scientific system in no way rules out the possible existence of such a Truth (or God). It simply underscores the natural limits of every human truth claim. History and our neighbors teach that there are many ways to write and a myriad more to interpret the masterpiece of creation. This too is a principle of Universalism, indeed its guiding principle: to affirm the discrete beauty of many windows even as Unitarianism (as a doctrine, not a sect) proclaims the one Light. In this spirit—and to assist in constructing a 21st-century Universalist theology—let me suggest a metaphor that helps me to understand and proclaim my Universalist faith, one I introduced in A Chosen Faith and develop in my most recent book, Lifecraft . Imagine the world as a vast cathedral. This cathedral is as ancient as humankind; its cornerstone is the first altar, marked with the tincture of blood and blessed by tears. Search for a lifetime—which is all we are given—and we shall never know its limits, visit all its transepts, worship at its myriad shrines, nor span its celestial ceiling with our gaze. The builders have labored in this cathedral from time immemorial. Daily, work begins that shall not be finished in the lifetime of the architects who planned it, the patrons who paid for it, the builders who construct it, or the expectant worshipers. Nonetheless, throughout human history, one generation after another has labored lovingly, sometimes fearfully, crafting memorials and consecrating shrines. Untold numbers of these today collect dust in long-undisturbed chambers; others, cast centuries or millennia ago from their once respected places, lie shattered on the cathedral floor. Not a moment passes without the dreams of long-dead dreamers being outstripped, crushed, or abandoned, giving way to new visions, each immortal in reach, ephemeral in grasp. Above all else, contemplate the windows. In the Cathedral of the World there are windows beyond number—some long forgotten, covered with many patinas of dust, others revered by millions, the most sacred of shrines. Each in its own way is beautiful. Some are abstract, others representational, some dark and meditative, others bright and dazzling. Each tells a story about the creation of the world, the meaning of history, the purpose of life, the nature of humankind, the mystery of death. The windows of the cathedral are where the Light shines through. As with all extended metaphors, this one is imperfect. The Light of God (or Truth or Being itself) shines not only upon us, but out from within us as well. Together with the windows, we are part of the cathedral, not apart from it. Together we comprise an interdependent web of being. The cathedral is constructed out of star-stuff and so are we. We are that part (or known part) of creation that contemplates itself. Because the cathedral is so vast, our life so short, and our vision so dim, we are able to contemplate only a tiny part of the whole creation. We can explore but a handful of its many chambers. Our allotted span permits us to reflect on the play of darkness and light through remarkably few of its myriad windows. Yet, since the whole is contained in each of its parts, as we ponder and act on insights derived from even a single reflection, we may experience self-illumination. We may also discover or invent meanings that invest both the creation and our lives with coherence and meaning. A 21st-century theology based on the concept of one light (Unitarianism) and many windows (Universalism) offers to its adherents both breadth and focus. Honoring many different religious approaches, it excludes only the truth-claims of absolutists. This is because fundamentalists—whether on the right or left—claim that the light shines through their window only. Skeptics draw the opposite conclusion. Seeing the bewildering variety of windows and observing the folly of the worshipers, they conclude that there is no Light. But the windows are not the Light, only where the light shines through. One cautionary note: Universalism itself can be perverted in two ways. One is to elevate one truth into a universal truth: "My church is the one true church." The other is to reduce distinctive truths to a lowest common denominator: "All religion is merely a set of variations upon the golden rule." The Universalism I embrace does neither. It holds that the same Light shines through all our windows, but that each window is different. The windows modify the Light, refracting it in various patterns that suggest discrete meanings. Just as one cannot believe in "everything," to find meaningful expression Universalism must be modified or refracted through the glass of individual and group experience (which by definition would be less than universal). One can be a Buddhist Universalist, a pagan Universalist, a humanist Universalist, a Jewish Universalist, a Christian Universalist. On the other hand, one cannot in any meaningful sense be a Universalist Universalist; it is impossible to look out every window. Neither can one be, say, a Universalist Christian; when the modifier of one's faith becomes its nominative, primary allegiance is relegated to but one part of the whole that encompasses it. Religious answers respond to life and death questions, which happen to be the most important questions of all. You and I may come up with different answers. If you are right, I must be wrong. But I can't be wrong, because my salvation hinges on being right. Therefore, short of abandoning my faith and embracing yours, in order to secure my salvation I am driven to ignore, convert, or destroy you. Aristotle coined something called the Law of the Excluded Middle. As a logical certainty, he asserted that A and not-A cannot both be true at one and the same time. By the light of my cathedral metaphor (and also by that of quantum uncertainty), Aristotle is wrong, at least with respect to theology. His logical certitude oversteps the law of experience. Contrast one stained-glass window (its dark center bordered by more translucent panes) with another (configured in the opposite fashion). Though the same light shines through both, they will cast diametrically opposite shadow images on the cathedral floor (A and not-A, if you will). Just as we cannot gaze directly at the sun, we cannot stare directly into the light of God. All the world's great scriptures make this point. No one can look God in the eye. Truth emerges only indirectly, as refracted through the windows of tradition and experience. To a modern Universalist such as myself, this suggests that—since the same light can be refracted in many different ways (including A and not-A)—the only religious truth claims we can discount completely are those that dismiss all other claims for failing to conform to their own understanding of the creation. One presumably impartial response to the war of theological passions is to reject religion entirely, to distance ourselves from those who attempt—always imperfectly—to interpret the Light's meaning. There are two problems with this approach. One is that it deprives us of a potentially deep encounter with the mysterious forces that impel our being, thereby limiting our ability to invent and discover meaning. The second is that none of us actually is able to resist interpreting the Light. Whether we choose the windows that enlighten existence for us or inherit them, for each individual the light and darkness mingle more or less persuasively as refracted through one set of windows or another. Attracted to the partial clarification of reality that emerges in patterns of light and the play of shadows, even people who reject religion are worshipers of truth as they perceive it. Their windows too become shrines. There is one Power, one Truth, one God, one Light. This Light shines through every window in the cathedral. No one can perceive it directly, the mystery being forever veiled. Yet, on the cathedral floor and in the eyes of each beholder, refracted and reflected through different windows in differing ways, it plays in patterns that suggest meanings, challenging us to interpret and live by these meanings as best we can. Each window illumines Truth in a unique way, leading to various truths, and these in differing measure according to the insight, receptivity, and behavior of the beholder. I am certain that others will refine and improve upon these principles. I offer them as much to promote a dialogue about the integrity and intelligibility of Universalism for our time as I do to answer the many questions Universalism poses to the inquiring mind. Yet I offer them with complete conviction. If we Unitarian Universalists are unable to recognize the ground that we share, we shall remain only marginally effective in helping to articulate grounds on which all might stand as children of a mystery that unites far more profoundly than it distinguishes one child of life from any other. To the extent that we fail in this mission, we betray our Universalist inheritance. This essay is adapted from "Our Universalist Mission: Proclaiming a Theology for the 21st Century," an address delivered at the General Assembly of the Unitarian Universalist Association of Congregations in Cleveland, Ohio, in June 2001. An expanded version appears in Bringing God Home: A Spiritual Guidebook for the Journey of Your Life (St. Martin's Press, May 2002). The Rev. Dr. F. Forrester Church (1948–2009) served the Unitarian Church of All Souls in New York City as senior minister from 1978 to 2007 and as minister of public theology from 2007 until his death in September 2009. 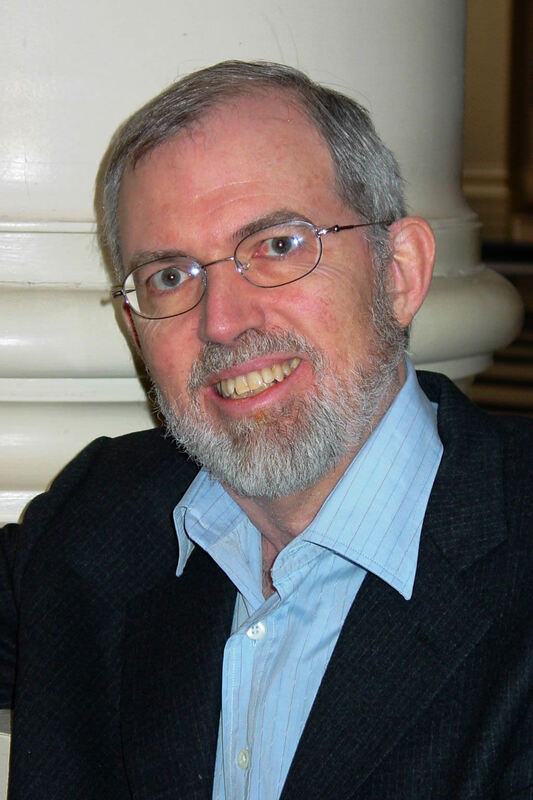 A frequent contributor to UU World , he was the author many books, including So Help Me God: The Founding Fathers and the First Great Battle Over Church and State (2007), Love and Death: My Journey through the Valley of the Shadow (2008), and The Cathedral of the World: A Universalist Theology (2009).